One of the happiest days of anyone’s life is your wedding day. The memories fade, however, so how can you keep them forever? Photographs of your wedding will keep those special memories alive for years to come. Picking the best wedding photography professional for your wedding is important, so consider these tips and suggestions. 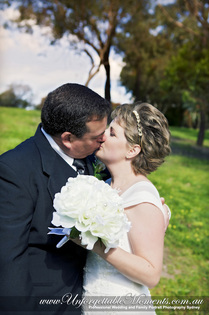 As you plan your wedding, be sure to include plenty of chances for your photographer to capture those memories for you. It is essential that you allow time during the wedding day to take the pictures that you will want, so take this into consideration as you’re doing your scheduling for the event. Always have some "fat" in your schedule to absorb delays during make-up and getting ready, travelling, etc. During and between each events, have enough time (and space) for the photographer to take their shots. When choosing a photographer for your wedding, consider objectives that are crucial for you. 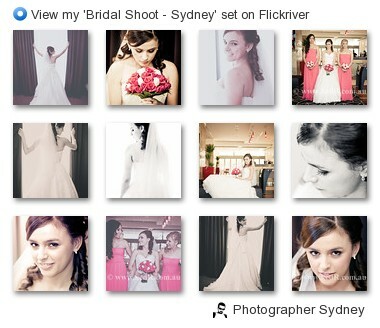 When interviewing a potential photographer, you should be able to see complete sets of pictures from several weddings. Don’t let the photographer pick and choose which pictures he or she wants you to see; this isn’t someone you want to hire! A truly professional wedding photographer should be able to show you 3 or 4 complete sets of pictures from different weddings, and you should be satisfied with all that you see. Be sure to look for a package that includes continuous photography during your entire wedding and reception. The photographer won’t be in a hurry to capture memorable pictures if there is no deadline. You have to choose a person who is truly interested in your day and is willing to work with you rather than you having to work according to his schedule. Some photographers or photography studios might hire photographers on a contract basis or photographers who work freelance; know to look for this as you begin your search. Some “photographers” are not actually photographers but are sales people trying to convince you to buy. Remember that you should have the final say in the decision; if you choose to go with a company, ask to see 3 or 4 complete picture sets from different weddings from each photographer they might use for you. Your wedding should be photographed only by the photographer you have chosen. Using a photographer that does the wedding shoots himself is one way to guarantee that the right person will be there for your wedding. A single photo journalistic style is used by some photographers, while others utilise only wedding photography of a more traditional style. Try to find a photographer who is happy to do both styles for you for the best results. Lots of photographer these days employ a combination of traditional posed photography along with candid - photo journalistic photography. You will understand their style only by viewing complete set of albums. 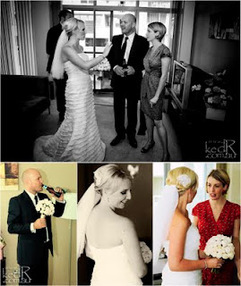 Before you go to interview a potential wedding photographer, make a list of questions to ask. Will there be an extra charge for black and white photographs, or will they be included in the price? Equipment is very crucial part of any photography business. Apart from employing a range of cameras and lenses, ensure that the photographer has back-up camera, lens, etc available just in case things go wrong for him/her. What types of lenses will he have available to use? During the course of the wedding, will the photographer change lenses or simply use the same lens? You might want different photo effects with your pictures, so have the photographer show you what effects he can do, then choose the ones you would like to use in your pictures. Will he consider your budget and help create a package that works for you? The more flexible the package are, more option you will have especially with regards to production, i.e. photo-albums, canvas, prints, etc. The more important thing that you would want to know that the photographer will provide you with high-resolution copies (also known as digital negatives) of your album. This will ensure that you don't have to pay the photographer everytime you want to get a photo printed. Also ensure that you get email size copies of all the images. This will save a lot of your time and energy trying to reduce the images to email to your friends and family - and for social networking. Photographers will be more upfront with you if you ask knowledgeable questions. Once the wedding is over, the memories remain, and good wedding photography helps keep those memories fresh for you and your family; choose wisely so that you will have the best pictures possible.